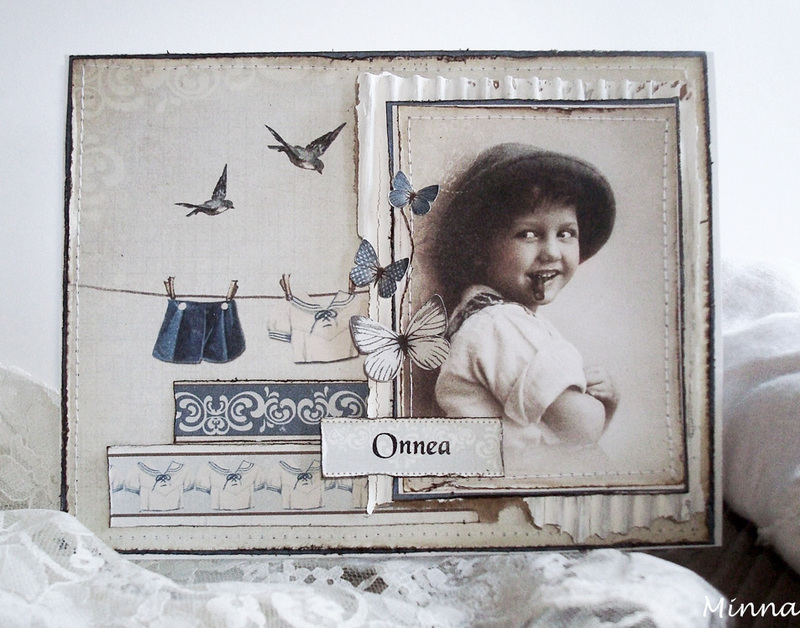 This time I want to show you a card I made for a boy and I have used an image from Grandma’s Attic-tinted. It was really suitable with this paper from Play Time collection. I also love to use a lot of corrugated chipboard on my cards, this one I have colored with gesso. The only embellishments are from the same Play Time collection, butterflies and borders.